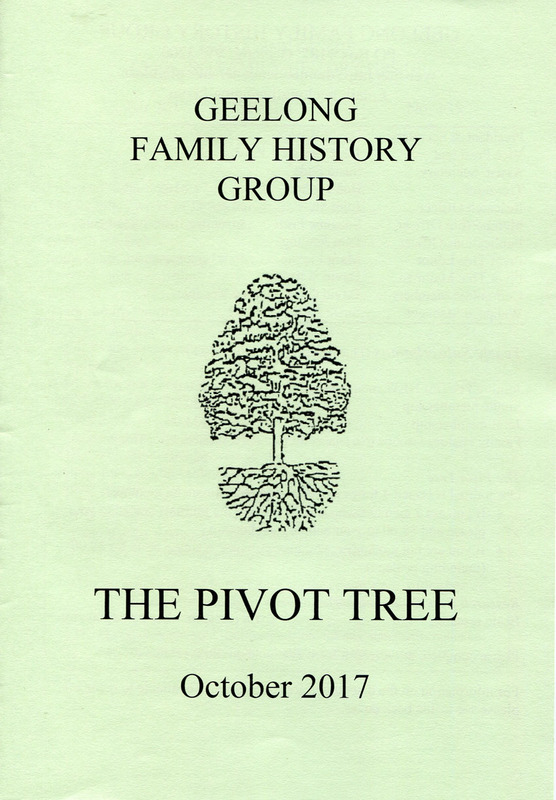 PIVOT TREE | Geelong Family History Group Inc.
Pivot Tree: the journal of the Geelong Family History Group is published four times per year and us free to all Members. Members can collect their copy at the monthly meetings or pay an additional $8.00 on top of their annual membership to have it posted to them. Contributions relating to Geelong & District families or local history for publishing in the journal are most welcome. or emailed to the Editor, preferably in Word format. The Geelong Family History Group does not hold itself responsible for any statements made or opinions expressed by contributors to this journal. Contributors are also responsible for ensuring that they own or have permission to publish supplied photographs.